A bench like KUBUS b can be a focal point and a design object that is as chic as it is functional. Or it can give way to everything else you would like to emphasise and simply hide under its big brother, the table. 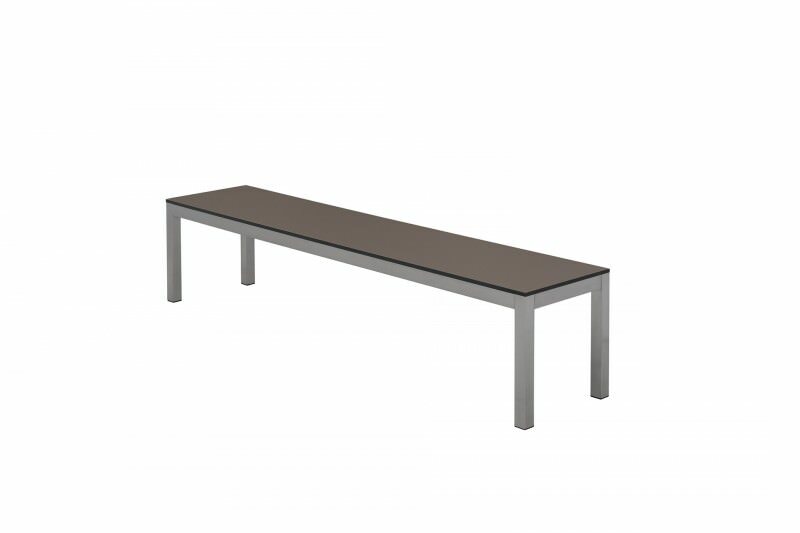 The KUBUS b bench is available with a mitre welded stainless steel frame – for unbeatable stability – and an HPL seat in the colours white, taupe and anthracite. Naturally, our benches are as weatherproof and robust as our tables. A bench like Primus b can be a focal point and a design object that is as chic as it is functional. Or it can give way to everything else you would like to emphasise and simply hide under its big brother, the table. 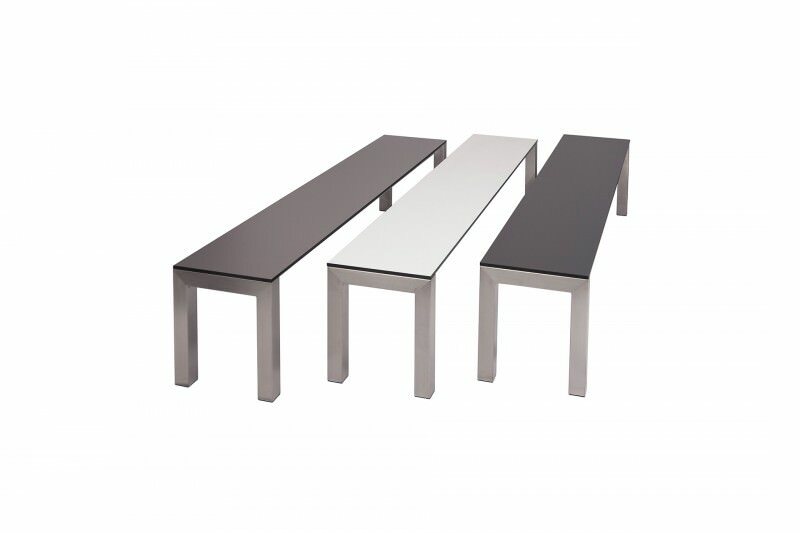 The KUBUS b bench is available with a mitre welded stainless steel frame – for unbeatable stability – and an HPL seat in the colours white, taupe or anthracite. Naturally, our benches are as weatherproof and robust as our tables.